World Cup ads predictably dominate this month’s Unruly Global Ads Chart. With the biggest sporting event on the planet in full swing, it’s no surprise to see almost half of the top 20 video ads of the month are football-related. Just like last month, Colombian pop princess Shakira’s collaboration with yoghurt brand Activia “La La La” leads the way. Dubbed the ‘unofficial World Cup theme song’, it attracted a mammoth 2.72 million shares during June, making it not only the most shared football ad of the year, but also the sixth most shared ad of all time. Brands unaffiliated with this year’s World Cup have certainly dominated this year’s World Cup. Despite creating half as many videos as FIFA-affiliated advertisers, commercials from non-sponsors have so far generated almost three-quarters of the shares. As with previous World Cups, Nike is one of the standout stars, so far attracting more than three times more shares than its fiercest rival adidas, who has been an official World Cup sponsor since 1970. This month’s chart features two ads from the Oregon-based company. In second spot is “The Last Game”, an ad designed in a style familiar to Pixar films like Toy Story or The Incredibles. It depicts a world in which homogenous clone footballers have taken over the sport, leaving mavericks like Zlatan and Neymar Jr. to take other professions, such as hairdressers. It’s a little like the town that banned dancing in Footloose, only with Wayne Rooney instead of Kevin Bacon. Seeing hugely famous athletes Disney-fied up is a strange joy, and the short film flies by with wit and imagination. With nearly 900,000 shares last month alone, it won’t be Nike’s last game either. Nike’s epic “Winner Stays” also makes June’s top 20 (18th), while adidas’ “House Match”, featuring David Beckham, is eighth. In fourth is another ad from a brand not affiliated with the World Cup – Beats By Dre’s “Game Before The Game”. Backed up by a rousing soundtrack from Jamie N Commons & The X Ambassadors, the video features football stars and fans preparing for the match of their lives by going through their various superstitious pre-match rites. Neymar listens to a message from his dad, Cesc Fabregas kisses his ring four times, while Luis Suarez kisses the tattoo on his wrist of his children’s names. It’s an incredible watch, enough to get the pulses racing of even the most ardent football refuseniks. Other new football-related ads to make it on to the top 20 are Banco de Chile’s compelling “Comercial Mineros” and a commercial from Middle-Eastern telecommunications company Ooredoo which stars Argentinian soccer superstar Lionel Messi. Castrol’s “Footkhana” is still the most shared ad from an official partner. But World Cup ads did not have it all their own way during June. After scoring a huge social video hit last year with its wickedly funny “The Camp Gyno”, tampon subscription service HelloFlo returned last month with yet another fresh approach to feminine hygiene marketing. Created to promote its period starter kit, “First Moon Party” features a young girl so desperate to join her “blood sisters” at school she paints red nail varnish on a sanitary towel to fake her first period. Her mum quickly rumbles her, but plays along, organising what can only be described as the party from hell to celebrate her daughter’s milestone. The result is probably the funniest ad about tampons ever made. Intentionally funny, at least. And judging by the ad’s immediate success, I’m not the only one giggling. The video has already surpassed the original, attracting 232,306 shares in just over a week, making it the ninth most shared ad last month. With lines like “Grandpa is bobbing for ovaries like a champ” and “do you know how hard it is to find a uterus pinata?”, the ad’s edgy humour and awkward subject matter will certainly not be to everyone’s tastes. But you certainly have to take your hat off to HelloFlo for coming up with a piece of content that would not look out of place during an episode of hit US TV show Modern Family. Another feminine care brand also makes it on to this month’s top 20. But unlike HelloFlo’s humorous spot, P&G brand Always uses a more inspirational message to get people sharing its ad, “Like A Girl”. Directed by notable documentary photographer and filmmaker Lauren Greenfield, whose work has cataloged the self-esteem crisis among American females, the video empowers young women to turn an insulting phrase into a positive affirmation. As one participant observes the end of the film, “why can’t ‘run like a girl’ also mean ‘win the race’?”. It’s a compelling message, which certainly resonated across the social web last month. Attracting more than 219,00 shares in just a few days, “Like A Girl” was the 11th most shared ad during June. Other new ads to make it into the top 20 this month include a safety ad from Volkswagen that is sure to make you think twice about texting while driving and trailers for the latest chapters of the successful video game franchises FIFA, Assassin’s Creed, Mortal Kombat and Grand Theft Auto. Many people use YouTube and Facebook to achieve “15 minutes of fame” in their personal lives by making videos about their interests and enthusiasms. Now employers are encouraging them to do the same at work. Reality TV has been a big influence, and everyone wants to be on camera now, says Vern Hanzlik, executive vice-president of Qumu, a video management software company. “Video is becoming a much more mainstream method of internal communications for companies, from the chief executive to junior employees,” he adds. This was borne out in an international survey of 300 companies in February and March this year by Kaltura, another video management software company. Some 70 per cent of respondents said they regard video as essential for internal communication, knowledge sharing and collaboration. More than three-quarters agreed that video provides a “nearly in-person” experience, making messages powerful in a way that written communication cannot and helping connect geographically divided employees. The problem is video’s voracious appetite for bandwidth and storage space. “Video clogs up corporate networks, so you need the infrastructure for intelligent routing and streaming,” says Mr Hanzlik. This is the aim of products such as Qumu and Kaltura. Bayer piloted Qumu last year when it held a singing contest to celebrate its 150th anniversary. It invited employees to upload videos of their performances to its corporate network, assess each other’s rendering of the specially commissioned song, share their favourites and vote for winners. The contest was a huge success, attracting 200 entries and 680,000 viewings, says Thomas Helfrich, Bayer’s global head of social media. “It was unbelievable to see how excited contestants were, and the venues and styles they came up with,” he says. “There were entries from more than 50 countries, including China, Mexico, Machu Picchu and the oldest stadium in Uruguay.” But they comprised 100 terabytes of data and there was no way Bayer’s existing network would have been able to cope. Qumu handled the task so smoothly that Bayer has since adopted it for all its videos. Philips had similar success with Kaltura last November, when it asked employees to make videos of what the company’s brand meant to them. The aim was to build staff awareness of Philips’ three businesses – healthcare, consumer/lifestyle and lighting. Again there was an enthusiastic response, says Paul Osgood, Philips’ head of internal communications. A Philips employee in Brazil filmed himself cycling through São Paulo, contrasting a dingy and deserted neighbourhood, which felt dangerous, with a brightly-lit street where people were partying on the pavement. A female employee in the US made a video demonstrating how different her headphones made her life while jogging. “People loved watching the videos and they went viral,” Mr Osgood says, but without Kaltura this could have brought down the Philips network. The software also lets Philips integrate the videos with its in-house TV channel, so that they can be viewed on TV screens by people working in factories where they do not have PCs. Video management software makes the approvals process much more efficient, says Bayer’s Mr Helfrich. Many Bayer videos have to be checked for compliance and intellectual property issues such as copyright, patents and trademarks. The software also provides better security than ad hoc systems built in-house. This was important at Bayer, where videos need to be stored securely for legal reasons and to ensure data privacy. “We wanted an application we could run in a protected environment with access restricted to employees,” Mr Helfrich says. Ease of use is crucial for such software to be adopted widely across an organisation. The simplicity of Qumu meant that some 25,000 people had largely taught themselves how to use it by the end of the contest. 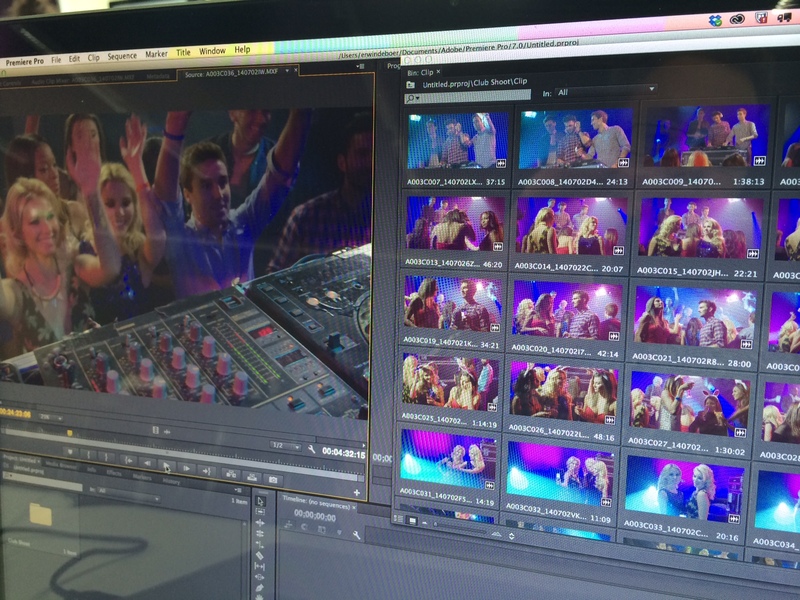 The next big step with corporate video, says Mr Osgood, will be giving staff access to it on their mobile phones. In the Kaltura survey, 75 per cent of respondents said that the ability easily to include video in corporate emails, social media and instant messaging would play an important role in the near future. Employers are becoming much more receptive to the idea of their staff making and sharing videos, says Michal Tsur, Kaltura’s president and co-founder. “Three years ago, managers worried that employees might say the wrong thing, so their focus was on moderating, patrolling and reporting tools,” Mr Tsur says. Organisations have also realised that videos can help identify talent, spot charismatic employees and get more information from and about them, Mr Tsur says. All this may be good for employees wanting to raise their profile at work. But as with other online activities, they would do well to check what they might subsequently be able to remove, should circumstances alter. Otherwise people may find their “fame” lasting longer than they bargained for. While many people now realize the value of traditional videos like a sales and marketing video or a training video, they are just now starting to realize the incredible value of an About Us video. It’s a great time to pitch new and past clients on this powerful tool that can be used in so many ways. The great thing about an About Us video is that it’s so versatile. Clients can use them for marketing and branding as well as recruiting and educating. Let’s take a look at some of the ways you can use video to further your corporate message. The About Us page is often the second most popular page on a website, second only to the home page. People want to know who is behind the product or service. Having a video on the About Us page allows a deeper understanding of the people who they will be dealing with if they select the company. The best way to approach an About Us video is to start the video with an interview of a past client. Allowing your prospects to view your company through the eyes of a client allows you to establish credibility and empathy in a powerful way. The client reinforces your marketing and branding messages by talking about their experience as well as how and why they chose your company. While not all companies want to include a client testimonial, I highly recommend it. Your prospect likely have the same needs and concerns. While your competition might be focused on text and photos that are meant to show how great they are, you will be focusing on your client’s needs. Branding messages and marketing messages should also be bolstered through the company’s representatives. It’s a good idea for the company representatives to talk about this client and others and how they serve the needs of all their clients. Through allowing potential clients to “meet the people” in your company, you’ll be able to establish a greater bond. I also recommend really showing your passion for your business in these types of videos. Your text on the page can cover the facts. But, video can create an engaging, emotional connection. Keeping site visitors engaged longer on your site also helps in your search engine optimization. Since people are very likely to view this page, it’s a great idea to keep them engaged and show them your passion through the most powerful communication tool available – video. When people hear about your company’s job openings, they will almost assuredly visit your website and check out your About Us page. Having a video that prospective applicants can watch is a great idea. They can get a feel for who you are and who you serve. They should also gain a greater understanding of your values and your mission. It’s also a great idea to include your staff in the video so that the job seekers get a feel for your company’s diversity and the attitude and demographics of the people working there. So, creating one, strong, inclusive About Us video will help you land more clients, bolster your search engine optimization, hire associates who are more likely to stay, and increase your current staff’s understanding of your value in the market. What a great investment! It’s like hiring a salesperson who works 24/7 on your website. Branded video reached new heights in 2013. More than 38% of new campaigns achieved more than 1 million views in 2013, compared with 26% in the year prior. And 5% of campaigns reached more than 10 million views, compared to 3% the year before. In 2012, brands saw campaigns like Red Bull’s “Stratos,” Invisible Children’s “Kony 2012,” and Rovio’s “Angry Birds Space” become mega viral hits. The result of that success was that brands began to see producing quality content – not just ads – as an important weapon in their marketing arsenals. So in 2013, the name of their game was perfecting the brand story. And in this regard, many brands succeeded this year. Brands were able to drive big views consistently throughout the year. The biggest campaign of 2013, “Real Beauty Sketches,” came from video veteran Dove. This emotional campaign questions women’s self-image with the help of a trained FBI sketch artist. While the short film met with a warm reception, for the most part, some critics felt that the ad patronized women. But that debate didn’t hurt the brand; the media coverage that ensued only helped to lengthen the life of the video and drive views up to more than 136.2 million views. Longer-form, cinematic content: The draw of branded video is the freedom it gives brands to tell their stories outside of the 30-second TV spot. So videos like True MoveH’s “Giving,” were longer and more cinematic. Stoking the debate: Some of the biggest video stories in the 2013 came from brands that incited debate. Cheerios, for example, achieved its biggest success to date with “Just Checking,” which opened a long debate about interracial families and their portrayal in the media late last year. Did they mean to start the debate? Probably not, but it did keep their brand in headlines for weeks. More interactivity: Old Spice produced one of the most viral interactive campaigns with 2010’s “Responses.” It produced another in 2012 with “Muscle Music,” which allowed viewers to create their own music inside of a video. And last year Intel and Toshiba released its third social film, “The Power Inside,” which allowed viewers to shape the campaign’s story through social media. Interactive campaigns like these only work when viewers actually engage with them. As the video universe gets more crowded, brands will be looking for unique ways to attract and engage viewers, and interactivity is a great way to do both. Real-time campaigns: At last year’s Super Bowl, Oreo became the poster child for real-time marketing with its half-time tweet, while Coca Cola’s campaign changed based on the score of the game. Both brands had good feedback from their campaigns, which seemed more relevant because of how timely they were. Encouraging user-generated content: Some of the most successful campaigns of the last year benefited from user-generated content. Volvo Trucks’ “Live Test” generated more than 30 million of its more than 111 million views from user-generated content – spoofs, mashups, copies, responses, etc. Besides showing how engaged viewers are with a brand’s campaign, user-generated content that takes off can extend the life of a campaign. These trends – and the more cinematic, provocative, imaginative, and engaging campaigns that they produce – will lead to one thing: views skyrocketing higher than ever before. As we have seen every year for the past five years, overall views in 2014 will surpass 2013, as brands continue to break new ground and perfect their video storytelling and strategies. 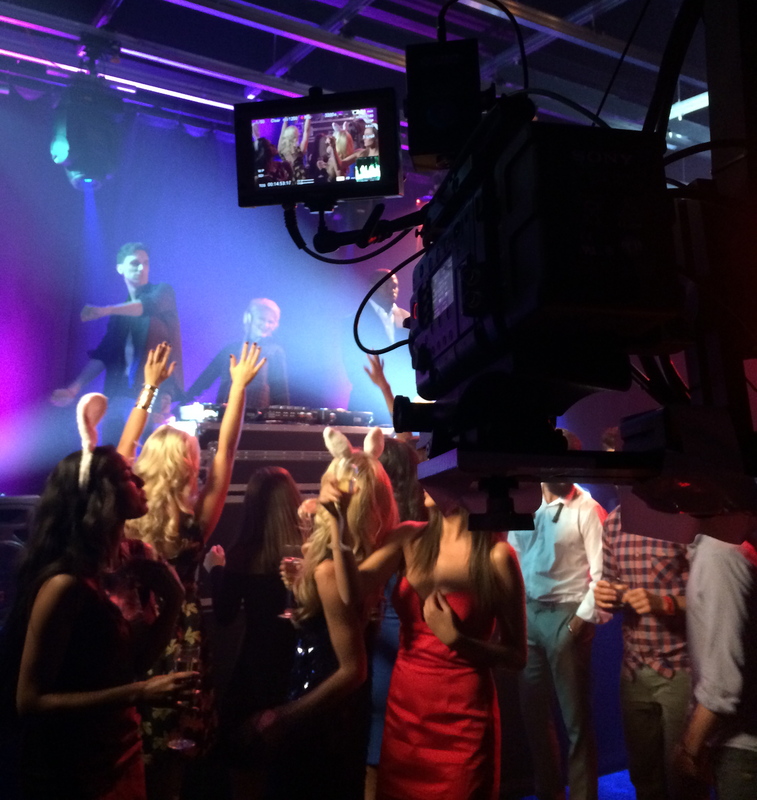 If you are looking for advice in producing effective video marketing campaign’s then please get in touch with our team atbespokevideoproduction.com. Marketers continue to be in love with their own content. Spending on branded content is set to reach $1.8 million this year, or 37 percent of marketers’ ad budgets, up from $1.7 million in 2012, per a Custom Content Council survey. The lion’s share of that is going into print. Spending on publications rose the most of three measured categories in 2013, to just over $1 million from $775,000 in 2012. Spending on electronic content was up 13.8 percent to $574,490 and spending on other content shrank to $264,423. That would seem to bode ill for magazines. Seventy-three percent of respondents said branded content is better than magazine ads, a sizable increase over 2012, when 66 percent said so. Sixty-three percent said branded content was superior to TV advertising, 62 percent favored branded content to direct mail, and 59 percent said it trumps public relations. One big question for marketers is whether to outsource their content creation or generate it in-house. Forty percent of respondents said they’re doing some outsourcing, down from 56 percent in 2012. But those who are only outsourcing are doing bigger projects, spending an average of more than $1 million this year, up 5.5 percent. Those marketers are increasingly bypassing traditional ad agencies for other types of firms to handle their content creation. Magazine publishers who may be losing ad dollars to branded content seem to be making it up on the custom content side. The biggest recipient of outsourcing is publishing firms, which got 36 percent of that spending, up from 32 percent last year. Design firms and ad agencies saw their shares shrink. PR/marketing firms’ share rose slightly, and interactive firms’ share was flat. 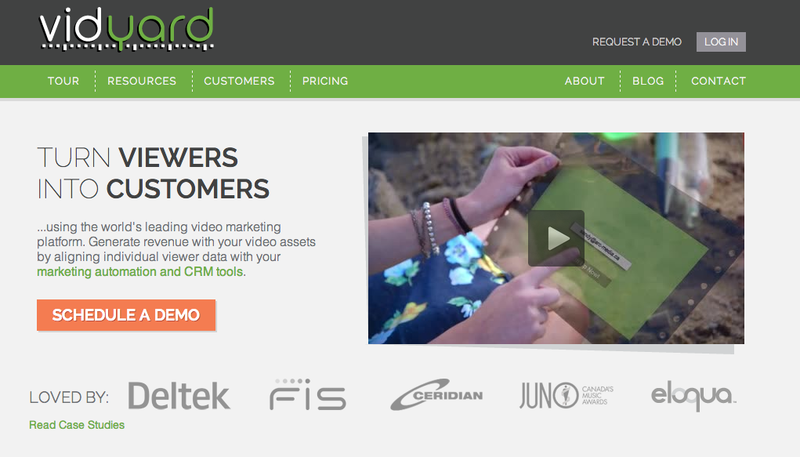 Kitchener’s Vidyard announced today that it has launched Vidyard for Salesforce, empowering businesses to connect with customers, partners and employees in entirely new ways using video. According to the announcement this is the very first video product integration into anyCRM program and is the biggest thing to happen to B2B video since YouTube. Adding a video layer to the Salesforce experience, Vidyard gives organizations a simple interface to upload and share videos with internal teams, contacts and leads. Individual viewing history can be tracked right within Salesforce, making targeted conversations with sales prospects easier than ever. Vidyard for Salesforce also provides a secure platform for uploading and sharing videos within Salesforce Chatter. “At Vidyard, we believe that video assets are the most powerful sales tool, but never before has it been possible to integrate video into the sales process through the cloud. We’ve been working across the marketing organization since the beginning, making it possible for demand generation, content, e-mail and social teams to incorporate video effectively into their campaigns. Now we’ve enabled the sales organization. It’s now possible to turn viewers into customers,” said Michael Litt, CEO and Co-Founder of Vidyard. For the first time, video views and engagement data will be pushed directly into Salesforce, giving insight into which videos are being watched, by whom, and for how long. When reaching out to a prospect, a sales rep now has incredible context as to what someone is interested in and what to discuss during an initial meeting. In addition, Vidyard has added a secure video layer to Chatter opening the doors to the most engaging form of content. With the Vidyard application, video can now be used in Chatter for sales, marketing, internal communications and training. Vidyard for Salesforce is available for download on the AppExchange and the company is currently hiring Software Engineers in Kitchener.